Liverpool have accepted a £13million bid for Joe Allen from Stoke, Press Association Sport understands. The Wales midfielder, currently on leave after his exploits in getting Wales to the semi-finals of Euro 2016, is in the final year of his contract. 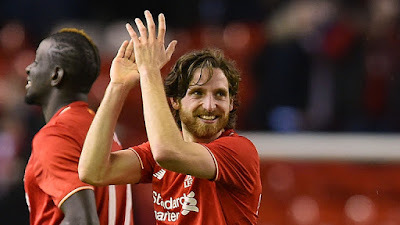 Allen is looking for more playing time, having been restricted to mainly Europa League appearances last season. Stoke's bid is roughly in line with Liverpool's valuation of a player with less than 12 months remaining on his contract - and would recoup most of the £15million they paid Swansea four years ago - so the decision is now likely to rest with the player himself, who is not due back to pre-season training until July 26.